The Cliff Bay Hotel is featured in the 2019 multimedia edition of Condé Nast Johansens: Luxury Hotels, Spas & Venues – UK, Europe & The Mediterranean 2019 and Condé Nast Johansens: Luxury Hotels, Spas & Venues – The Americas & Caribbean 2019 ‘, where a group of hotels are recommended for those who want to know new destinations or repeat wherever they went. 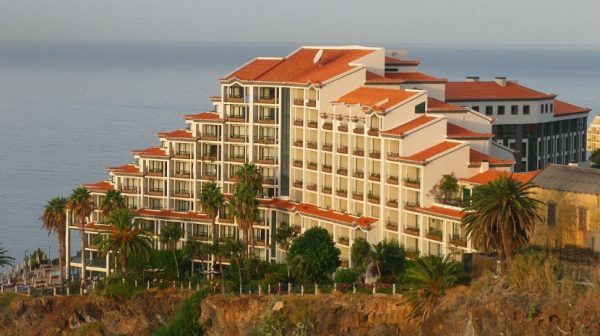 The hotel of the group ‘PortoBay’ is the only Madeiran representative in the list where 22 Portuguese hotel establishments are present in 190 hotels and luxury spas from around the world in a guide that is oriented both for the traditional traveler and the traveler with a high power purchase. Condé Nast Johansens is the first reference guide for independent travelers, continuing to be the ultimate exponent of excellence for independent hotels. They have an audience of 5.8 million users, while its distribution reaches 27 thousand internationally.